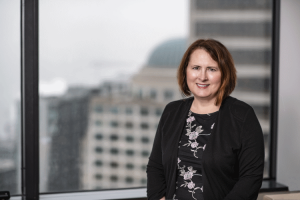 Ms. Silvernale’s practice is limited to the defense of employers, both self insured and state fund under the Washington State Industrial Insurance Act, as well as defense of firms cited under the Washington State Industrial Safety and Health Act. Her practice includes advice to firms at the Department level and litigation before the Board of Industrial Insurance Appeals, Superior Court, Court of Appeals and Supreme Court. She also serves as a mediator for Industrial Insurance matters on appeal from Board of Industrial Insurance Appeals Decision and Orders to the Superior Court. Ms. Silvernale has been a frequent presenter at Board of Industrial Insurance Appeals Continuing Legal Education Seminars, as well as seminars sponsored by other organizations such as the Washington State Self- Insurers Association. During law school, Ms. Silvernale clerked for the Washington State Office of the Attorney General. After graduating from law school, she clerked for the Honorable Robert E. Dixon of the King County Superior Court. In 1986 she joined the Washington State Office of the Attorney General, where she served as counsel for the Department of Licensing, where her clients included the Medical Disciplinary Board, as well as the other various health care regulatory boards. From 1987 to 1990 she was an assistant attorney general representing the Department of Labor & Industries in matters before the Board of Industrial Insurance Appeals and in Superior Court. In 1990, she became an Industrial Appeals Judge with the Board of Industrial Insurance Appeals, and served as a trial judge until 2000. From 2000 through 2012 she served as a mediation and review judge until joining the Seattle office of Holmes, Weddle & Barcott in 2012. Ms. Silvernale is a member of the Washington State Bar Association.